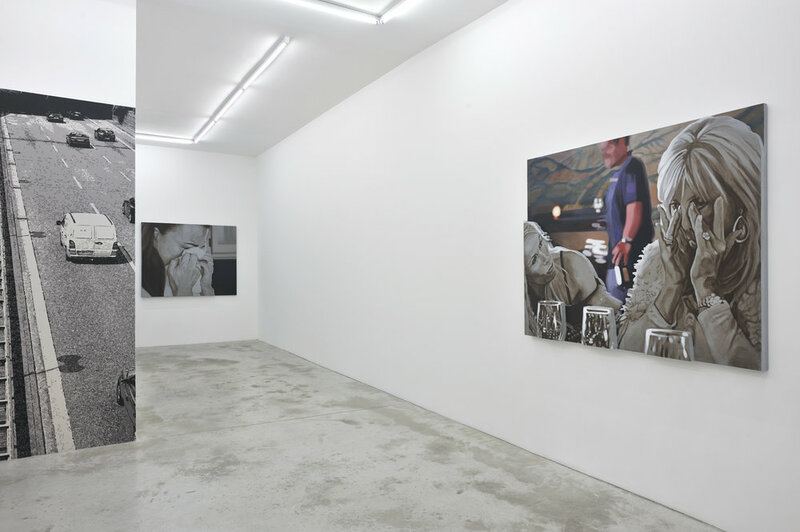 Praz-Delavallade is pleased to present « The Petrified Forest », a new exhibition by John Miller. John Miller has produced a varied œuvre that includes painting, sculpture, photography and video. With empathy, humour, and insightful observation, Miller plunges into the maelstrom of everyday life to distill the commonplace and the « normal ». While a lot of Miller’s previous works had to do with the interrogation of value in a capitalist society and the disparities between the price and the meaning of something, his more recent projects offer at once critical and poetic representations of emotional affect, its relationship to bio-power and its impact on individuals. For Miller, television remains primary source of mass cultural representation. 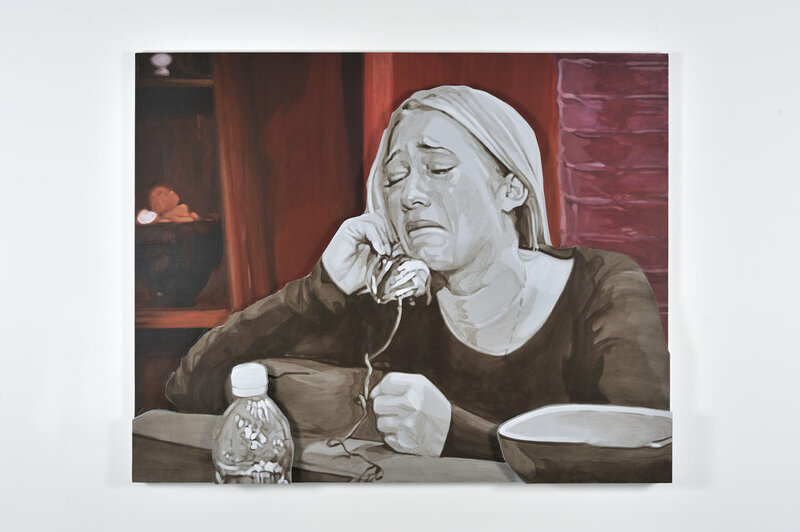 Just as the paintings from the series « Everything is Said », the new series of wooden reliefs presented in this exhibition show people crying on reality television. Their muted pallet of greys and browns removes the images from the tacky glimmer of the mass media and renders them as handpainted artifacts. A few years ago, while executing a series of paintings depicting game shows (1998-2000), John Miller focused on the colorfully designed sets contrasting with the seemingly interchangeable participants. Clearly demarcating itself from this type of programming, reality television claims to focus on individuals and real life, but Miller chose to represent the moment when it all collapses. Crying indeed has become a performative asset. The capacity to emote in front of a camera now seems as much a prerogative to participate in such shows, as is beauty or charisma. And while the belief in the transparency of what is shown to us has never been stronger, Miller reminds us that any framing of reality necessarily grows out of a fabricated point of view. Two wallpaper murals contrast with the reliefs. 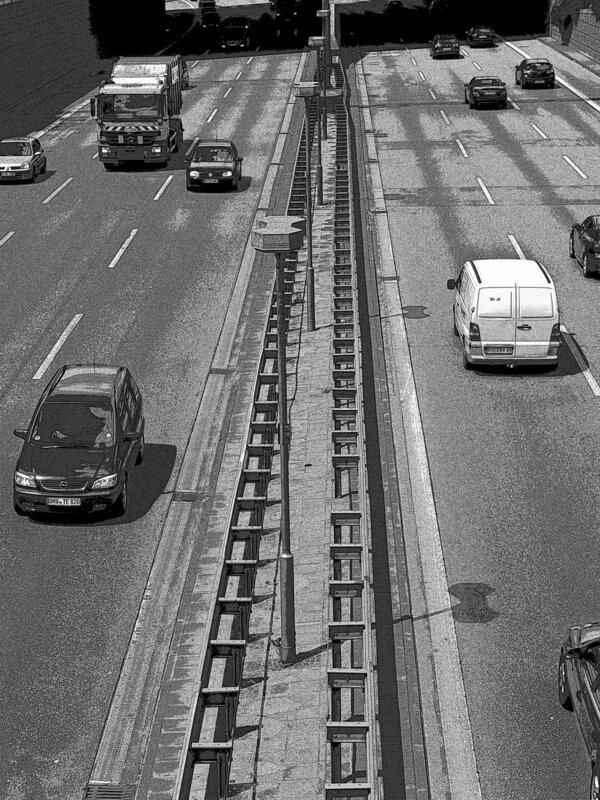 These images are digital prints taken from the artist’s ongoing archive of «Middle of the Day» photographs shot between 12 and 2 pm. At this time not only is the sun at its highest, but it is also the time traditionally assigned to the lunch break. This undefined period between, but not really outside, the socially coded cycles of work and leisure. These decor-like pictures become stand-ins for a quotidian social reality and appear in direct opposition to the artifice of television depicted on the reliefs. 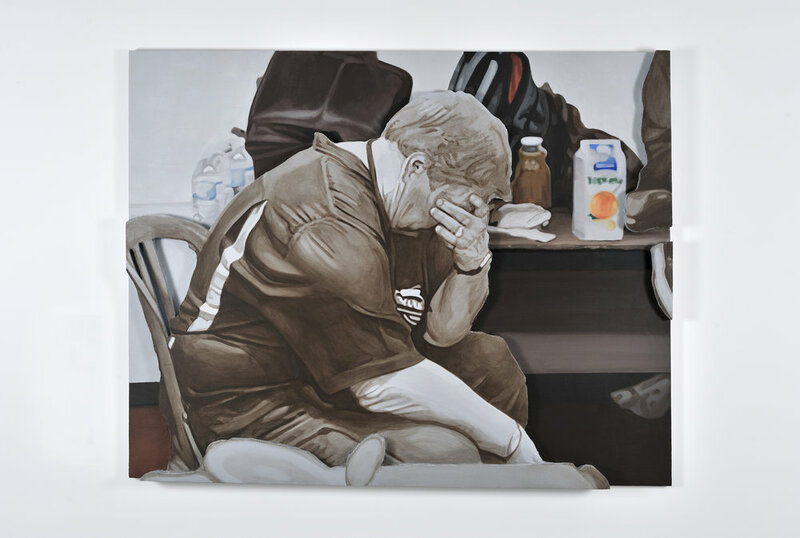 This is John Miller’s 4th solo show with Praz-Delavallade. His work is also currently on view in group exhibitions at the Rubell Family Collection, Miami and the Palais de Tokyo, Paris. 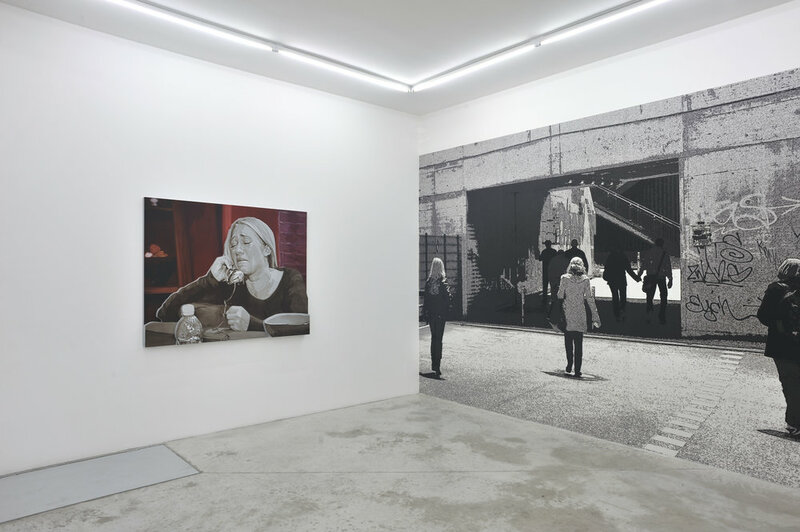 Miller is the recipient of the 2011 Wolfgang Hahn Prize, which coincided with an exhibition at Museum Ludwig, Cologne. In 2009, the Kunsthalle Zurich held a retrospective exhibition of his work that was accompanied by a catalogue published by JRP-Ringier. 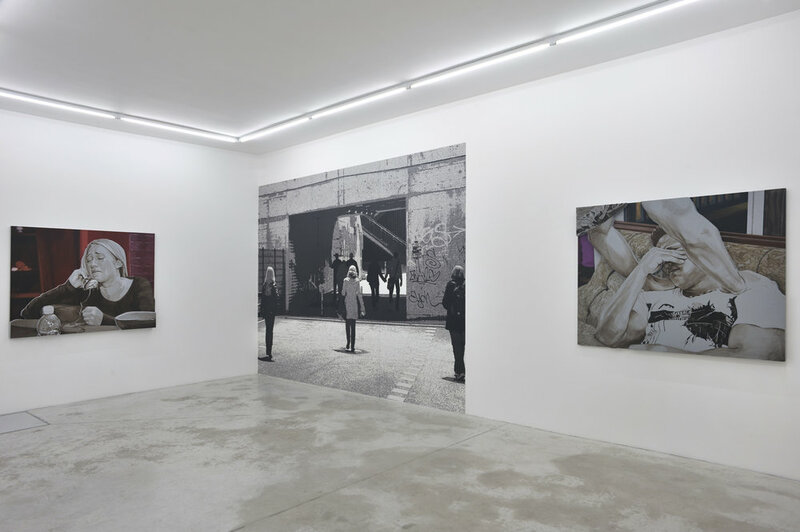 Miller has had solo shows at Musée d’art moderne et contemporain, Geneva (2004) ; Magasin, Grenoble (1999) ; and Kunstverein Hamburg. He has participated in major group exhibitions at CAPC, Bordeaux (2010/11) ; Museo Nacional Centro de Arte Reina Sofia, Madrid (2010) ; and MoMA PS1, New York (2006). His work was included in the 1991 Whitney Biennale in New York and the 2010 Gwanju Biennale in South Korea. A new anthology of his writing and art criticism will be published in September 2012 («The Ruin of Exchange», JRP-Ringier).